The Range Rover Evoque is priced from $42,650, and is available in five trim levels: S, SE, R-Dynamic S, R-Dynamic SE and R-Dynamic HSE, with an additional First Edition model available for the first year only. The 2020 Range Rover Evoque compact luxury SUV made its global debut in London in November 2018, and features an all new design language, advanced driver assistance technologies, a new hybrid-electric powertrain option and groundbreaking off-road technologies. 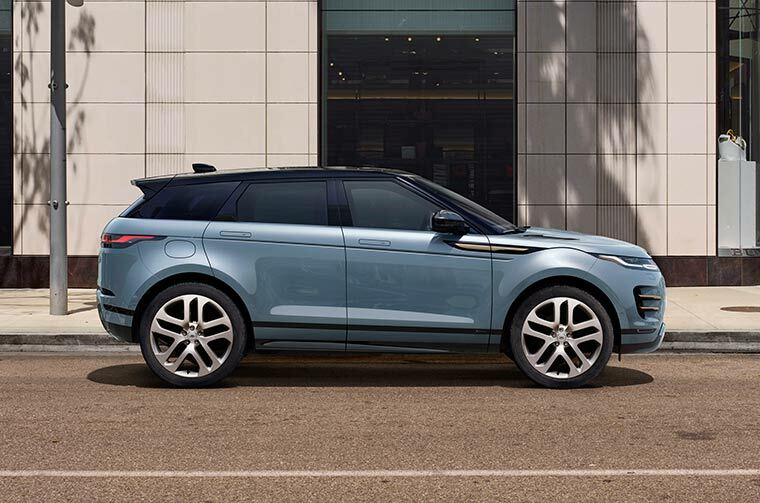 Building on the original model’s instantly-recognizable design, the New Range Rover Evoque is a sophisticated evolution of the original’s distinctive coupe-like silhouette. The New Range Rover Evoque will be available from launch with a 48-volt MHEV powertrain that harvests energy normally lost during deceleration and stores it in the underfloor battery. The New Range Rover Evoque is also the first vehicle to feature ‘ClearSight Ground View’ technology, which is designed to allow the driver to virtually see through the hood and under the front end of the vehicle by projecting a 180-degree view of the ground onto the vehicle’s upper touchscreen. The Evoque’s Optional ClearSight Rear View Mirror uses a roof mounted camera to provide an obstructed view of what’s behind the vehicle at all times. While it’s not intended to replace the rear view camera showing images of cars in close proximity, it does display a long distance view of what’s behind your vehicle. Learn more by contacting Park Place Land Rover Dallas today.